If you are looking for a restaurant in Tracy, you might want to check out Town and Country Cafe. It is located at 27 W. 10 Street, Tracy 95376, and its phone number is (209) 835-6751. Its normal hours of operation are Tuesday through Saturday 8:00 am - 3:00 pm and Sunday 9:00 am - 2:00 pm. If you are looking for a restaurant in Tracy, you might want to check out Banta Inn. It is located at 22563 South 7th Street, Tracy 95304, and its phone number is (209) 835-1311. Its normal hours of operation are Monday and Tuesday 11:00 am - 10:00 pm, Wednesday and Thursday 11:00 am - Midnight, Friday and Saturday 8:00 am - 2:00 am, Sunday 8:00 am - 10:00 pm. With 'Breakfast in My Neighborhood' News10 viewers get a chance to decide where News10 Mornings Anchor Keba Arnold will be broadcasting live from 5-7 a.m. this Friday, February 6. Voting began on-air Friday morning January 30 and ended Tuesday, February 3, at 6 p.m. 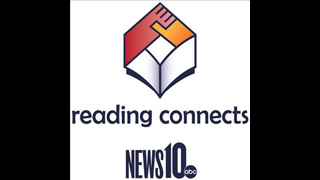 The winner was announced Wednesday, February 4, on News10 Mornings. Viewers chimed in and OVER 23,000 votes were cast. We want to thank the viewers, Linda's Soda Bar & Grill and New Earth Market for participating in our poll. And the winner is New Earth Market! Presumably a good chunk of the population is too young or too old to care about such things. The Super Bowl was the most watched television program in history, and now has an international audience. An additional 37 foreign countries received the live TV feed. No wonder advertising costs $4 million per 30-second spot, and the advertising is sold out.